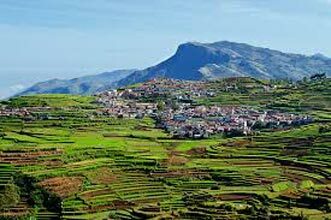 Once you arrive at the railway station and the airport of Coimbatore, hit the road to reach Ooty. On arrival, check –into the hotel. After lunch, leave for sightseeing where you are going to cover Ooty Lake, the Botanical Garden, Doddabetta trek and the local market. Overnight at the hotel. Entire day is booked for sightseeing, in and around Ooty. You are going to visit some amazing tourist attractions such as Sim's Park, Ketty Valley, Tea Gardens, Lambs Park, Rose Garden, Dolphin's nose, Koddandu Point and Avalanche Lake. Return to Ooty for an overnight stay. After breakfast, move to Kodaikanal today. On the way visit, the Palani Temples. Once you reach Kodaikanal, check into the hotel. Day is free for leisure activities. Overnight stay. Start your day after breakfast. Enjoy boating or fishing at the Kodaikanal Lake. Later in the day, cover Green Valley View, Cocker's Walk, Bear Shola Falls, Golf Links, Pillar Rocks and Silver Cascade Falls. Overnight stay in the hotel. After breakfast, hit the road to reach Munnar, one of the most well-known hill towns of Kerala. It offers a mesmerizing view of the tea plantations and the Cardamom hills on the way. After reaching, check-into the hotel. Enjoy a leisurely walk. Overnight stay at the hotel. On day 6, go for a visit to Eravikulam National Park. You will be able to spot rare mountain goats, called the Nilgiri Tahr. Later visit the Mattupetty Dam and the Dairy Farm. Rest of the day is free. Overnight at Munnar. Post breakfast; get transferred to Cochin by road. On arrival, check into the Hotel.Afternoon proceed for sightseeing of Cochin – visit Hill Palace Museum, Dutch Palace Museum, Jewish Street, Jewish Synagogue, St. Francis Church and Chinese Fishing Nets. Overnight stay in Cochin. Get transferred to the railway station or the airport to board a flight or train for your onward journey.